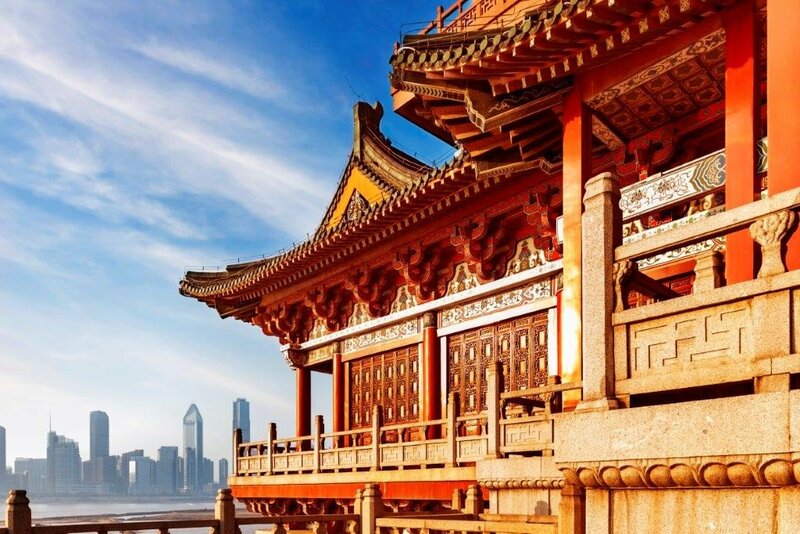 Uncover the mysteries and marvels of modern China as you journey through Beijing, Xian and Shanghai. Immerse yourself in the languages, the art, the history. Explore Tiananmen Square, spend time with a Chinese family and experience authentic cultural displays, ancient temples, pagodas and palaces. Board your flight Depart Australia for Beijing, the capital of the People’s Republic of China and one of the most populated cities on Earth! Explore Beijing Begin the day with a sightseeing tour of Tiananmen Square, the fourth largest square in the world. Imperial Palace See first-hand how emperors lived in the Imperial Palace. Local school visit Interact with Chinese students and learn their way of life at a local school. Great Wall of China Enjoy a guided visit to the Great Wall, a definite highlight of your trip to China. Hidden Gems En route back to Beijing, visit the royal Ming Tombs and Sacred Way. Beijing at Night Attend a performance of the Beijing Opera and experience a taste of traditional Chinese Theatre. Rickshaw Adventures Explore the back alleyways of Beijing on a guided Rickshaw Tour. Like a Local Get a taste of local life on a visit to a local Chinese family. Afterwards, swap your rickshaw for a private coach to drive to the Lama Temple. Dinner Enjoy a local specialty, Peking Duck at a dinner banquet. Summer Palace Tour the Summer Palace, the former Summer holiday house of the Imperial families, and be awed by the Chinese landscape and garden design during a guided tour of the Summer Palace. Temple of Heaven Visit the Temple of Heaven, the largest temple in China before boarding an overnight train to Xian. Optional activities - STEM activities Participate in an educational program at the China Science & Technology Museum or the Science Popularisation Lab. Explore Xi'an Your visit to Xi'an begins with a bike ride along the top of the Old City Wall, which provides a bird’s eye view of the busy streets below. Visit the Bell and Drum Towers, the Muslim Quarter and the Big Wild Goose Pagoda. Discover Xi'an Marvel at the 8000 strong army of Terracotta Warriors on board a guided coach tour. Enjoy a visit to the Huaqing Hot Springs before heading to the Banpo Neolithin Museum that showcases Yangshao culture dating back 6000 years! Dinner and entertainment Experience a Tang Dynasty dance show with dinner. Board your flight Fly to Shanghai abd enjoy a Chinese barbecue lunch upon arrival. Guided tour Embark on a guided sightseeing tour of the best this energetic city has to offer, including visits to the Yu Yuan Garden, a Chinese Tea House and Nanjing Road. Sightseeing A full day of sightseeing begins with a trip to the Pudong district, take the lift at the Oriental Pearl TV Tower to the viewing platform for spectacular views. Visit the Shanghai Museum and discover its impressive collection of ancient Chinese art. Amazing Acrobats Experience a Chinese Acrobatic Show and see some mind blowing tricks! Final Farewell Bid Dzai Tien to China and begin your journey home to Australia. Thank you for your interest in our WorldStrides In Dragon’s Footsteps – China Tour! Please tell us a little more about yourself so we can get you sent to the right place.